Explore the famous Kentucky Bourbon Trail with access to three of Lexington, Kentucky's elite bourbon distilleries as part of an 8-hour guided tour with your own friendly and professional guide. Embark on a full day adventure to the renowned Makers Mark, Four Roses, and Barton 1792 bourbon distilleries. This tour package includes round trip Shuttle Transportation, three Distillery Admission Fees, Skip-the-Line Entry, Bourbon Tastings, Breakfast, Lunch, an Expert Guide, and Refreshments. Start your journey at 8:30am from the central location in Lexington. Ride in comfort on our customized shuttle bus as you head to North Lime Coffee and Donuts, a locally owned breakfast shop. This shop is famous among the locals and will give you that home town feel with a delicious breakfast to start the day. Your expert guide/driver will provide commentary throughout the day to enhance your experience. Venture into your first distillery of the day, Maker's Mark. Here you will walk the grounds on Kentucky's most iconic distilleries. Next, enjoy a delicious lunch at a local eatery. After eating lunch, Barton 1792 is just a few minutes down the road where we will do a tasting in a unique, one-of-a-kind tasting. The last stop of the day will be at Four Roses distillery awaits you just down the road in Lawrenceburg, Kentucky. 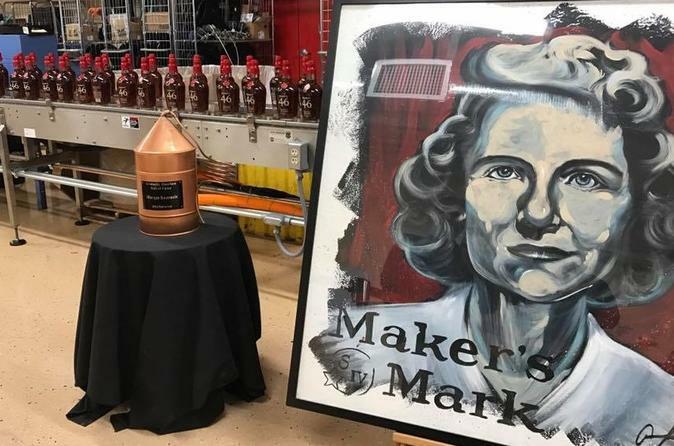 See the only Spanish-mission style distillery in Kentucky as you taste through award winning products and learn about the newly expanded Distillery. Recap your day and ask any questions you may have. End your journey with a safe drive back to when your tour began in Lexington.